When Anna Him started to plant pepper crops seven years ago, she would have never thought that one day it would turn into a profitable business. Starting with half a hectare, the 34-year-old and her family initially planted the famous Kampot product solely for their own use. “My husband asked me, ‘Are there any special and deeply well-known products in Cambodia related to our culture?’” she said. “At that time, I thought for a while and I thought Kampot pepper is well-known,” she said. Today, Anna is the chief executive officer of Bright Starling Holdings Co, which owns Starling Farm Kampot Pepper. 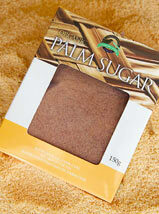 Established in 2010, the company exports pepper to international markets. When she started, she hardly saw any companies exporting abroad except for the Farm Link Company in Kampot, which shipped to France. Anna was born in Kampong Cham province’s Prek Por commune in Srey Santhor district, and is married to Irish national Mark Hanna. “We never had experience in planting pepper, but we are lucky that we have an uncle who loves his career in agriculture, so I asked him to help us,” she said. So far, the pepper farm consists of five hectares of land, but only three hectares are bearing crops, while the rests will take at least two years to yield. Anna employs 25 people to work on the farm, while another 15 work in processing the pepper, such as packaging. “I can say, for the past three years, our company has been very successful because we can grow more pepper and the price of pepper crops has also increased,” he said. 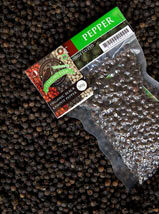 According to Anna, her farm produced about six tonnes of pepper this year. But demand is higher than the output on her farm, and so she bought about 1.5 additional tonnes from the Kampot Pepper Farmers Association (KPFA) and an extra 2 tonnes from other farmers in the area. “Now the KPFA is happy to have contracts with many companies, but they are also upset because they don’t have enough pepper for selling,” she said, adding, that “next year, I plan to buy 10 tonnes from them”. Buying one kilogram of black pepper from the KPFA cost her $11 this year, while her company sold a kilo at $35, because it required much more work after buying it from the farmers, such as sorting out the best quality crops for export. “I believe in Kampot pepper crops; [they] will be successful because I can see that after less than a semester, I have no pepper crops left for sale for foreign orders,” she said. Anna said that with about seven to eight tonnes, the majority of her company’s pepper is exported to Germany, Canada, the US, France, UK, Russia and Australia. Also expanding locally, Anna now runs three shops in Phnom Penh, Siem Reap and Kampot. “We have full confidence in and pride in our pepper,” she said.